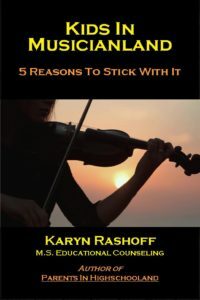 Karyn Rashoff will be signing and selling her books – “Parents in Highschooland: Helping Students Succeed in the Critical Years” and “Kids in Musicianland: 5 Reasons to Stick With It” – at this event, along with other small press and self-published Orange County authors. This entry was posted in Events on September 15, 2016 by Joyce Kaye. This entry was posted in Events on September 2, 2016 by Joyce Kaye. 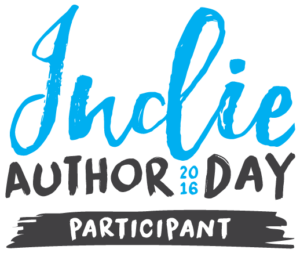 This entry was posted in Events on September 1, 2016 by Joyce Kaye. The 15th Annual California Association of School Counselors Conference is being held October 9 – 10, 2015, with a pre-conference on October 8, 2015. The School Counselors: Leading Students to the Next Level conference will focus on five themes: Mental health in schools; LCAP/LCFF, Career & college readiness + common core; Alternative means of correction, and Data, Accountability and Technology. Karyn Rashoff will be presenting during the October 9th session. This entry was posted in Events on September 22, 2015 by Joyce Kaye. Learn more about the Woodbridge Village Association by visiting www.wva.org. This entry was posted in Events on September 14, 2015 by Joyce Kaye. Karyn Rashoff’s book “Parents in Highschooland” has been likened to Dr. Phil’s books. 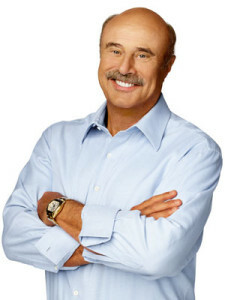 Dr. Phil McGraw, perhaps the most well-known mental health professional in the world, uses the power of television to tell compelling stories about real people with a wide range of emotional and behavioral problems, stripping away the shame and embarrassment that often keep people from seeking help. Many viewers, for the first time in their lives, develop an understanding of problems experienced by their families and themselves and, in the comfort of their homes, experience the hope and possibility of change. His unique dedication to families and children is legend to the millions of people around the world who watch his show and read his books. Visit Dr. Phil’s website to learn more. This entry was posted in For Parents, Other Resources on April 20, 2015 by Joyce Kaye. Feb. 2015 issue, pages 56 – 58. Karyn Rashoff figures that she has held nearly 20,000 counseling sessions with high school students, parents, teachers and administrators during her 33 years as a guidance counselor. After she retired in 2012 from her last post – 20 years as a counselor at El Toro High School – the Irvine resident decided to share what she has learned about navigating the homework wars, college admissions process and other power struggles that often flare up between teenagers and their parents. 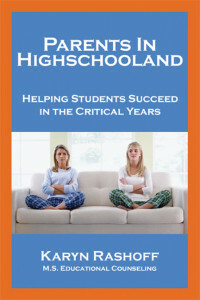 The result is a book titled, Parents in Highschooland: Helping Students Succeed in the Critical Years (available as an e-book on Amazon for $4.95 and in paperback) which is filled with “real life” stories and concrete advice Rashoff collected from dozens of school officials, teachers, parents and teenagers. It’s almost like having a group of experienced friends gathered in a living room to tell the reader what they wish they had known when they were navigating the tumultuous high school years. The desire to write Parents in Highschooland came to Rashoff in part as a response to common themes she encountered during her decades in education. “High school students are not just learning subject matter, but also life skills. I felt that some parents were at a loss about how to help their teen get ready for life after high school,” she says, noting that learning to be on time for class and turning in work on time will help them succeed in school and the ventures that follow. “One trend I’ve seen is parents who are turning over the responsibility for raising their child over to the school,” she says. She described one conference for a freshman who wasn’t doing well in school. The parents’ response was akin to “He’s in high school now so he needs to handle it on his own.” That, she says, is a big mistake. “Don’t back off,” she advises parents. Instead, monitor your kids, whether getting to know their friends or keeping an eye on their grades online. Also, try to stay tender and attentive, even when they try your patience. “Tell your kids you love them all the time. Then when you correct them, it comes from a platform of love, not power,” she says. As for talking with your teens about school, she suggests parents try to keep it business-like as a way to keep a teen’s often heated emotions in check. Ask your child, “What is it you need me to do to help you with school?” she advises. Then, listen to the answer. But that doesn’t mean to make excuses for them when they miss assignments or shirk responsibilities. “When you make excuses for your kid, you are turning your kid into a victim,” she says. Rashoff, mother to a 25-year-old son who graduated from Woodbridge High School and Cal Poly San Luis Obispo, does not hold back from sharing some of her own parenting regrets either. “I regret nagging him,” Rashoff says. A better approach to getting teens to handle challenges is to help them make a plan and support them as they work out their concerns or problems, she says. Rashoff also urges parents to think twice about taking away an activity a child loves as a punishment for grades. “Don’t put restrictions on something your child wants that benefits his education, such as his wanting to buy books, join clubs or participate in sports. This kind of interest is a signal to you that your child is excited about something, and every instance of excitement of this sort is a learning opportunity for both of you,” she writes. After all, Rashoff says, the research shows that the more extracurricular school related activities teens do, the better their grades are. She thinks that is because they feel more invested in their school and education. Rashoff hold firm beliefs about setting your child up for success with homework. She suggests that instead of doing homework behind a closed bedroom door, have your teens do their homework in an open place like the dining room table. (But don’t hover over them, she insists.) If they struggle with time management, use a timer to break work down into manageable 20-minute chunk of time, with breaks in between. When it comes to planning for college, Rashoff has other tips for parents. First is to help your child research and learn about colleges. “Early on, even if your kids are younger, take them to a college campus so they can decide ‘This is cool. I want to be here.’” She says. The summer between freshman and sophomore years is often a good time to visit colleges, which offer free tours to families, she says. If your student in interested in a particular school, you can fins the college freshman profile for that school, which give the make-up of the class, including average SAT scores and GPAs. “Then your teen knows, ‘That’s what I have to shoot for,’” she says. Students should take advantage of the free college-planning resources offered by their high school guidance counseling office before they consider pricey private counseling, Rashoff says. That said, for families who can afford it, an SAT prep course is usually a good investment, she notes. So what did Rashoff learn from the families who seemed to have mastered the parent-teen dynamic? Karyn Rashoff leads parenting workshops based on Highschooland, including one that will be held in March at Irvine Valley College. For more information, go online to www.highschooland.com. This entry was posted in Media News on April 17, 2015 by Joyce Kaye.